Facilitated by Kathy Norris and Emma Wood, the meeting will be at the Heath Campus on Tuesday 6 February, 6:30pm-9:45pm. 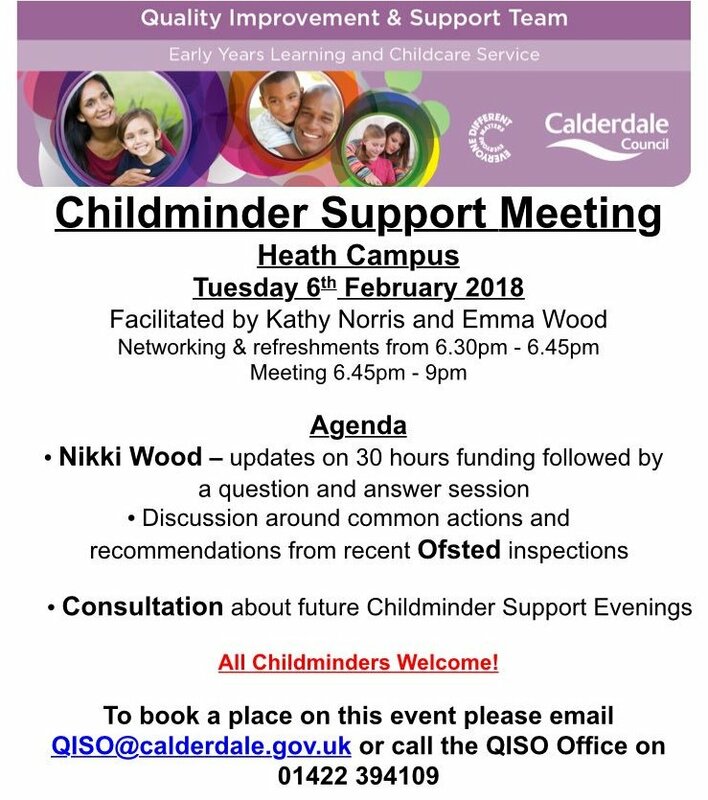 Nikki Wood will discuss updates on 30 hours funding followed by a question and answer session. There will also be a discussion around recommendations made by Ofsted. To book a place email QISO@calderdale.gov.uk or call 01422 394109.